Discussion in 'Amps and Cabs' started by Boltagon, Apr 17, 2016. Yes this topic has been covered before but I am looking for post break in, been around the block impressions. Leaning heavily towards a WGS ET65 or Reaper HP. The current stock speaker the Lightning Bolt actually sounds quite good. Much better than the old stock speaker. I picked up a used one that was well broken in. I put it in an 6 or 7 year old BJ with some Bill M. mods. After trying a number of other speakers, including a Cannabis Rex, Texas Heat, V-30, and CL-80, I have stuck with the Lightning Bolt. Both sound really good with many EL84 amps. Fane is Ceramic, Celestion is Alnico. I use 2 of the Celestion Creams with a Hayseed with outstanding results. Interesting. I am actually replacing the old yellow version with the musical notes on it. Reissue Jensen stock, wasn't digging it. UK Greenback, didn't care for it. Old Celestion g12-65, liked it very much but hated to split up my collection of 4. CRex, dark and dull, sold it. 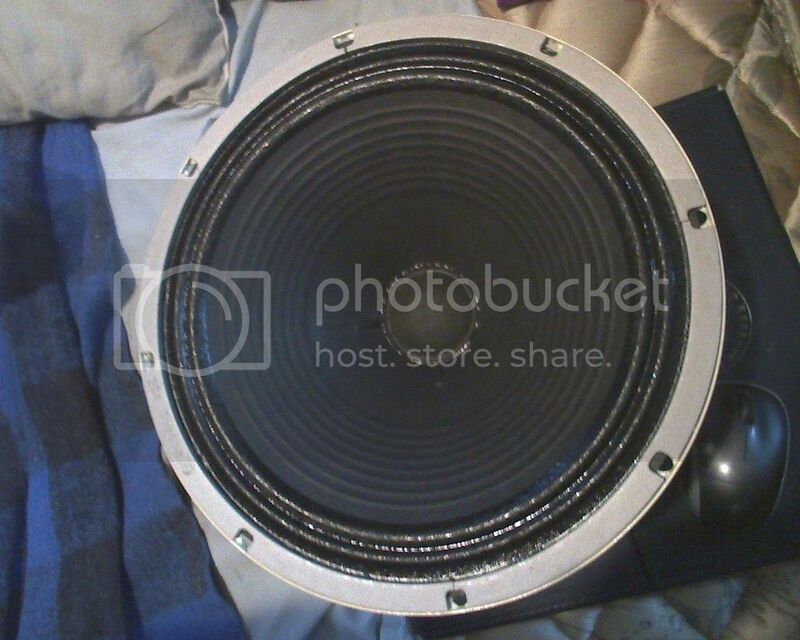 Put Celestion back in for the time being. Decided to purchase WGS ET-65, jut as perfect as my Celestion 65. Great mids, great clarity, no fizz. cuseman731, FM1968 and Boltagon like this. I dug a greenback when I had mine, specifically a UK made greenback. I've read good reviews of the Lightning and ET65 speakers but haven't tried them. I had a Reaper HP and it's a great sounding speaker. Much better than the regular Reaper. It sounds like a cross between a Celeston and a Jensen, a Jensen with a little more mids I guess. I have seen a lot of positive reviews for the Reaper HP in a Fender circuit. If am looking for a classic Fender sound would the HP be too mid forward? If you are replacing the original Fender by Eminence, just about any of the favorites around here will sound good. I use Weber Signature 12B in the amps that i have been asked to upgrade as they sound really good and are very reasonably priced. I would think twice about putting a Vintage 30 in what's basically a $300 amp. Like putting JoeBarden pickups in a Squire Tele. The HP has just a little more mids and I don't think it's too much. It still gives the Fender sparkle (some Celestion type speakers don't) which is why I liked it. Cheers. Lots of great input. Cream is a 90 Watt Alnico. They came out with it Last Winter. 2015. Its a nice speaker, and IMHO probably the nicest speaker Celestion has made in Decades. Its similar in Highs/Mids, to the Blue, with better Low End than the Gold, and 40 more watts than the Gold. Also loves OD, and any kind of pedals. Also is great in a sealed cabinet. Kind of like a 90 Watt Blue with better lows. Works really nice in a lower watt amp. 100db. I run 2 of them with both a Hayseed 30, and a Metro GMP45. It doesn't get any better than this. Only different. Washburnmemphis and FM1968 like this. They came out with it Last Winter. Its a nice speaker, and IMHO probably the nicest speaker Celestion has made in Decades. Its similar in Higs/Mids, to the Blue, with bett Low End than the Gold, and 40 more watts than the Gold. Kind of like a 90 Watt Blue with nice lows. Works really nice in a lower watt amp. 100db. Stock Speaker: (Emi?) Very in your face, loud upper mids very out front. A bit harsh and flat response to my ears. Weber C12-65 (G12-65 clone): He liked this one best. More scooped mids, a bit more low end than the stock speaker. To my ears is was very similar to the Legacy. But had maybe just a touch less high end sizzle. Weber Legacy 55 hz cone: Very close to the C12-65 to my ears. Emi GA SC64: Well balanced, nice clean lows and highs. ...but didn't subdue the highs . Another thing of note: The back of a Blues Jr has little open area compared with a normal vintage Fender. Additionally the amp take up much of the space. I mentioned this to him and while he was playing and I held a piece of cardboard over the back of one of the cabs we were trying speakers in. It does make a difference. Suddenly bigger lows. And finally: Surprisingly, the stock speaker was much louder than those two particular Webers. Went with the Warehouse Guitar Speakers ET65. Quite pleased. Really opens up the amp and fills in the sonic gaps. Nice sparkle. Smooth but by no means dull. I have Celestion V-Type speakers in my Blues Jr and HR Deluxe. 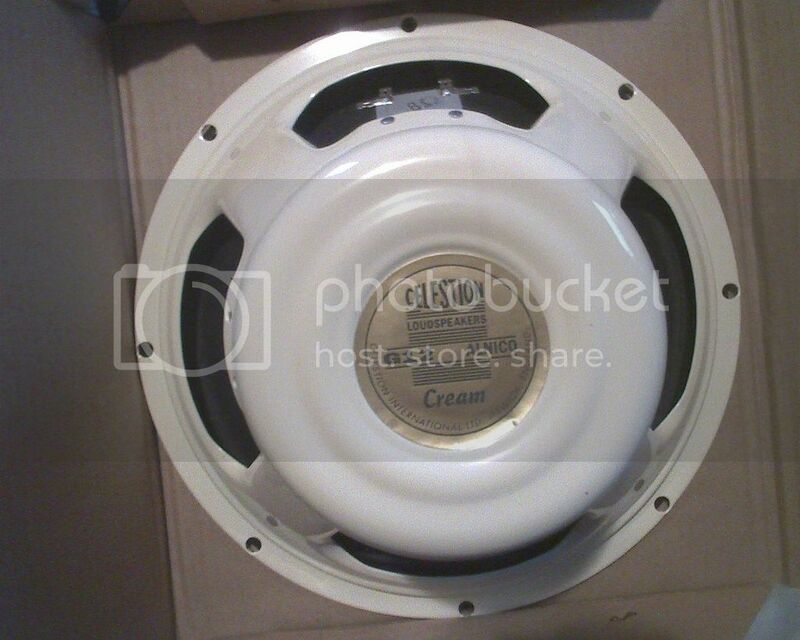 This is the speaker used in the Landau HR Deville.